In January-September 2018, the foreign trade turnover of agricultural and food products between Ukraine and the EU countries increased by 5.4% compared to the same period last year and amounted to USD 6.07 billion. During this period, Ukrainian agricultural exports reached USD 4.12 billion, which is 2% less than in January-September 2017, Deputy Agrarian Policy and Food Minister of Ukraine for European Integration Olha Trofimtseva stated, the press service of the Agrarian Policy and Food Ministry of Ukraine reported. "According to the results of January-September 2018, the foreign trade turnover of agricultural and food products between Ukraine and the EU countries amounted to USD 6.07 billion and increased by 5.4% compared to the corresponding period last year. 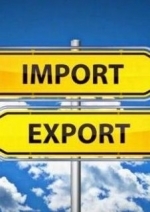 Ukrainian exports amounted to USD 4.12 billion, while its imports totaled USD 1.9 billion," the statement reads. In January-September 2016, Ukrainian agricultural and food exports to the EU market reached almost USD 2.9 billion. In the same period of 2017, the exports amounted to USD 4.2 billion. “Despite the slowdown in the growth rates of Ukrainian agricultural and food exports to the EU markets this year, we are sure that further reduction of trade barriers between Ukraine and the EU will have a positive effect on both sides, and more and more Ukrainian exporters will enter the EU markets with their own products," Trofimtseva said.